You slide the diamond ring on her finger, and her eyes light up and she says yes! The ring sparkles in the moonlight and the engagement is a celebration. Zales has been helping couple celebrate marriage for 80 years, and customers enjoy the selection and the affordability of jewelry. You can pick up a Zales Application and begin a career in jewelry retail. The idea was to offer to customers “a penny down and a dollar a week” credit plan for the purchase of jewelry. The founders William Zale, Morris Zale and Ben Lipshy began the jewelry company in 1924. The first store opened in Wichita Falls, Texas and offered quality jewelry at affordable prices. By 1941, the company quickly expanded to 12 stores in Texas and Oklahoma because of their marketing plan, knowledgeable staff, and friendly service. Today, there are 781 locations and over 12,500 employees. A customer can find jewelry for any taste. They carry modern designs as well classic jewelry. Zales began trading publically on the American Stock Exchange in 1958. Currently, they are traded as ZLC at the New York Stock Exchange. Zales is an exciting and dynamic company. They are continually expanding and have job opportunities for those just starting in the jewelry industry or for those seeking a new career. 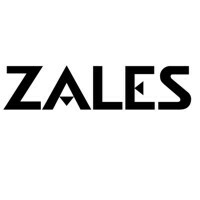 For those with experience or who have been working in retail, Zales Careers may be the opportunity to rise within the company. For those interested in other opportunities besides sales, they have a need for designers, buyers, engineering, finance positions, and human resources. For those looking for management careers, they have district manager, store manager, and assistant store manager positions. For those looking for Zales jobs, they have entry-level positions when you apply online or apply with a direct application. Unfortunately, they do not have a printable application for Zales on their career website. For an entry-level position, you will find jobs like jewelry consultant, traveling jewelry consultant for special retail events, and store security. How old do you have to be to work at Zales? Zales requires that job applicants interested in selling jewelry to be at least 18 years of age. The jewelry company requires some experience in retail and customer service. Check your local store for the age requirement when you fill out a Zales application. Benefits offered for eligible employees include full medical, dental, vision, and full and short-term disability insurance. They offer 401 (k) savings plan, tuition reimbursement and paid vacations and sick leave. For employees that work at their main corporate office they offer some incredible incentives such a gym, weight loss programs, quit smoking programs, and massage therapist on-site. Zale’s hours of operation are Monday through Saturday 10:00 am to 9 pm and Sundays 12 pm to 6 pm. Their primary location is in malls and will operate around mall hours. Be prepared to have a flexible schedule that includes weekends, nights, and holidays. Hours could be longer during the holiday season. Jewelry Consultant-As a consultant you will identify the needs of the customer and fulfill those wishes. You will go through a comprehensive training program that creates knowledge about the product for the best-selling techniques. You will earn a wage at about $11.50 an hour. Traveling Jewelry Sales Associate-Special Events-You will help customers select jewelry at retail events. Assist with inventory control, make sure at the end of the day jewelry is secure, and secure jewelry when traveling to events. You must have proficient math skills. Your average salary is about $26,000. Assistant Store Manager-Your job description will be to assist the store manager in any required duties, create the schedule with store manager’s approval, and deposit daily receipts. You will train and monitor store associates for positive sales, promote store sales, keep a clean environment, and prepare reports for the manager. You can expect a salary of approximately $33,000 a year. Store Manager-Your responsibilities include developing goals for probability, staff development, and management of staff including hiring employees. You and your staff are accountable for following all procedures and policies of the company. You are the example of the ultimate customer service experience. You can expect a salary of $44,000 to $50,000. When you apply for employment with Zales jobs online, you will want to start researching some of these interview questions. Why do want to work for Zales? Show your passion on why you want to work for this company. Research the company’s values and mission statement. What is about them that makes you want to work for them. How do you handle a difficult customer? No matter what retail business you are in, there will always be angry customers or customers who complain. The interviewer wants to know how you will handle those types of customers. Do you listen, repeat back the complaint, and then do your best to resolve the problem? If you have been retail before, give an example of the time you resolved a customer complaint. Are you goal oriented? The manager sets goals for their sales associates each day. They will want to know if you can attain goals in your personal life and how you go about attaining those goals. What are your career goals? They are looking for employees who want to stay with the company for more than a year. Do you have goals to rise within this company? What are your strengths and weaknesses? Be honest about your strengths and give an example of what that strength is such as honesty or integrity. Asking a question about weaknesses is gauging how honest you are, and you can turn a weakness into something positive. Name a weakness and then tell them how you are striving to overcome it. How to apply to Zales online? To apply for Zales jobs online, you will follow the link below to their “careers” website. You will search for any job categories that match your qualifications and interest. Then you will create a user profile, in which you will fill out the fields asking for your contact information. You can also use a certain online social media account to extract your contact information. Before you apply for Zales jobs, make sure your resume is accurate and up to date with all your relevant information. You can upload your resume, and their system will extract information from your resume and populate the application form fields. Also, you can use a button below the job category for a job search website and send an online application. Unfortunately, there is not a printable application form or download application form. However, your free application will begin an online test that assesses customer service skills and sales. If you pass the test, then a manager will call you to either a one to one interview or a group interview. Come prepared to answer questions about the company and have some knowledge of jewelry. Come dressed in professional business attire. Let them know how much you want the job, and you will go above and beyond expectations in customer service. Be passionate in your answers and let them know you can handle constructive criticism. After the interview, thank them for their time. They see many applications, it is suggested that you do a follow-up call and inquire about the position. Under Armour: For career opportunities, fill out the Under Armour online application. Scheels: Use the Scheels job application to apply here. Menards: Visit the Menards application. Jared: Use the Jared job application to apply here. Harbor Freight: For career opportunities, fill out the Harbor Freight online application.